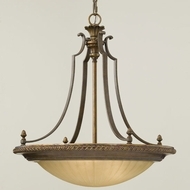 What makes a lighting fixture typical of traditional style? Do you shy away from the unknown? Are you attracted to time-tested classic looks? 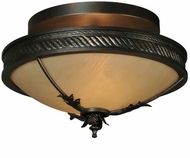 Traditional lighting borrows from convention and may be perfect for the risk-adverse. 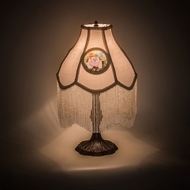 Buy traditional floor lamps, the best table floor lamps, and other traditional fixtures from Affordable Lamps and save a ton of money on quality traditional lighting. 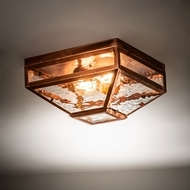 Lighting fixtures are considered traditional style when their design references decor trends of the past. How far into the past? Traditional style evokes the years preceding World War II. What if I love attention-getting glamor? 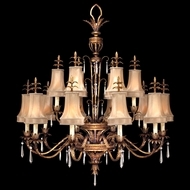 When you browse traditional chandeliers you immerse yourself in Old World glamor. 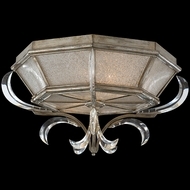 Many of our manufacturers borrow splendor from the past and create modern classics using the traditional lighting style. Allow u- to give you three illustrations. 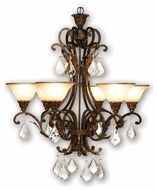 First, Meyda Tiffany Lighting and other brands carry various Gothic revival 20-light chandeliers. This is a prime example of attention-grabbing traditional glamor. 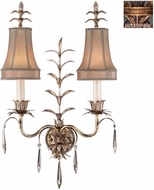 Your traditional chandelier can light up a room with accessories such as still-life oil paintings. You may be enchanted by a two-tier hand wrought iron chandelier, which is often ideal for a ranch home, hunting lodge or French country villa. However, any guest will see that you are definitely not roughing it! 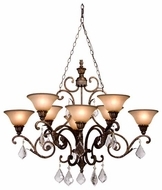 In traditional lighting, you'll discover chandeliers that are 48” wide and 180” high. 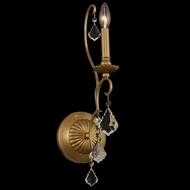 Second, you can witness that some traditional chandeliers are not for the shrinking violet. 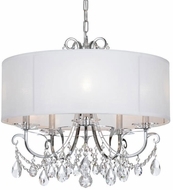 Quoizel Lighting and other manufacturers offer 16-light chandeliers are as noticeable as a trumpet blare. 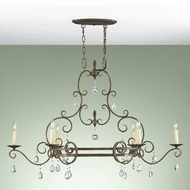 Some traditional chandeliers outstretch their curved arms for your applause like an opera singer after an aria. 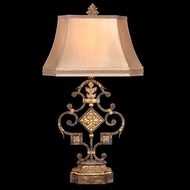 You'll take notice of Venice gold glass shades in traditional lighting. 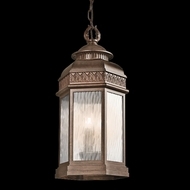 Mediterranean twists to your traditional lighting are available too. 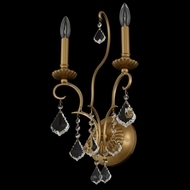 Third, 6-light traditional chandeliers by Murray Feiss Lighting and other manufacturers may be small compared to the previous two but it will captivate too. Search for an unusual beach motif and you may find pearl shell and wood beaded traditional chandeliers that promote a luxurious beach resort sensation. 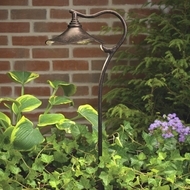 All of these are available from us at inexpensive traditional lighting prices. What if I prefer understated elegance? 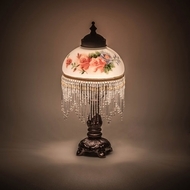 Traditional bathroom lighting is an option for restrooms with floral patterned walls. Colors such as cream or off-white are soothing to individuals in this setting. 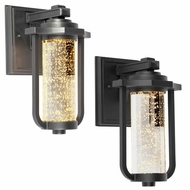 Kalco Lighting and other brands offer a traditional bathroom lighting fixtures that are 2-lamp vanity lights. 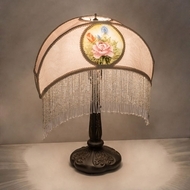 Some traditional lighting fixtures may feature tulip-shaped glass in soothing colors such as amber and antique linen. 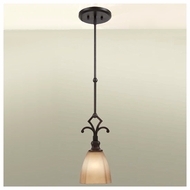 Classic lighting fixtures such as these look fresh and welcoming year after year. Traditional bathroom lighting is bright enough for tasks such as grooming but soft enough to illuminate when you want to luxuriate in a bubble bath for hours. 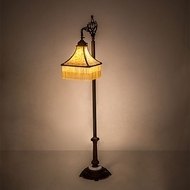 You can buy traditional lighting fixtures in several different styles from Affordable Lamps. I want something youthful, playful yet timeless. What’s best for me? 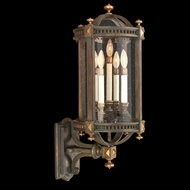 Traditional wall sconces provide homeowners or apartment dwellers with the opportunity to be playful in their decor. 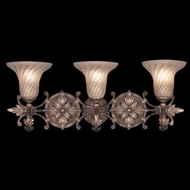 For instance, traditional wall sconces can be 10 ¼ “ wide, 10 ¼ high and 4” deep or larger. These pair nicely with accessories such as gilt frames. 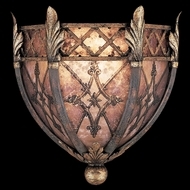 Smaller traditional wall sconces are perceived as less formal. 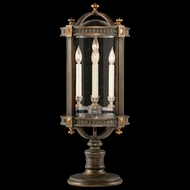 Browse the catalog of Crystorama Lighting or other brands for affordable traditional lighting sconce fixtures. Hunt for a retro-feel 2-lite traditional wall sconce. You can even locate one with multi-colored rosettes and antique white metal to represent youth and femininity. I need a traditional fixture for a masculine room. What options do I have for traditional desk lamps and other solutions? Traditional lighting can give a man cave the polish it needs to upgrade it to a masculine den or reading room. However, masculine decor demands a lack of fussiness and a show of strength. 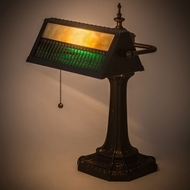 One of the best traditional desk lamps for this purpose is a traditional desk lamp by Kichler Lighting. A fixture with a classic pull-chain, bronze finish, and understated beige marble glass shade meets the aforementioned requirements. Consider showcasing warm wood tones through your furniture and pair this furniture with traditional floor lamps, table floor lamps, or another product from our flood table lamp sale. Swag and panel traditional window treatments can provide privacy. Explore from there to expand your lighting purchases to include traditional table lamps such as a flood table lamp. If I prefer earth tones, what traditional lighting fits my decor? Traditional decor welcomes faux animal skin and Old World fabrics such as damask. Gold tassels and fringe are also typical for traditional style fabrics. This leaves plenty of leeway for natural fibers and earthy colors of minerals. 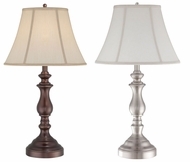 If you are seeking lighting with classic finishes and organic shapes, consider 1-light traditional table lamps by Maxim Lighting or our other brands. An oil-rubbed bronze finish is in harmony with faux dark leather furniture. A traditional table lamp’s timeless amber shade complements any alabaster sculptures or minerals that you have on display. I would like to make the traditional lighting a focal point. What colors are available? 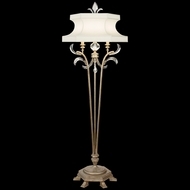 Traditional lighting, as we mentioned before, can be understated or showy. The same pertains to color. Let us begin with a showy option. Elk Lighting features a dramatic polished chrome ceiling light that also serves as a traditional pendant light. 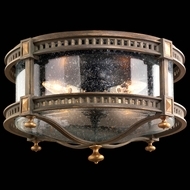 You can look for duo-mount semi-flush traditional ceiling lights that evoke Art Deco. 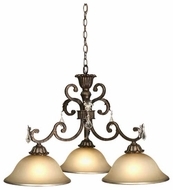 Some traditional lighting fixtures have shining chrome and floral silver string drum shades. This can fit in Art Nouveau settings as well. 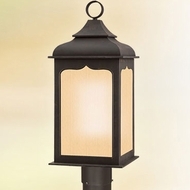 If you prefer lower shine and darker colors, then view our traditional outdoor wall lighting by Kichler Lighting, Trans Globe Lighting and Troy Lighting. 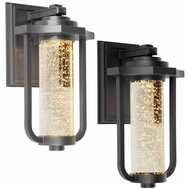 Their outdoor hanging wall lights, wall sconces and wall lanterns are available in brown stone, black bronze and English bronze, respectively.